Can be used in our online shop and at the Zoo for admission and gift shop purchases. What better gift to give to a friend, family member or loved one than an experience in The National Reptile Zoo! 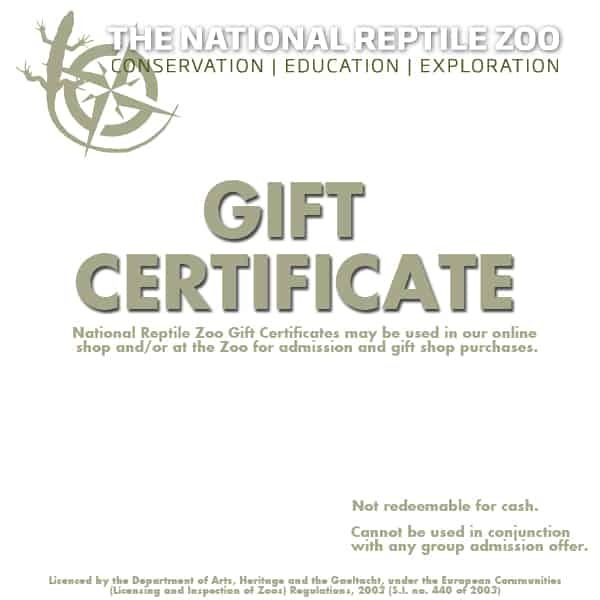 Buy a gift certificate for use in either of our shops, online and in zoo! Can also be used for admission as well! Perfect for birthdays, communions, special occasions or just to be nice. Cannot be used in conjunction with any group admission offer.